Compare tire brands in less time, and discover the best tire for your car, light truck, or SUV. If you're not sure what tire size you need, browse the tire catalog by vehicle make and model to see all tires available in a compatible size. Now, you can see what the wheels you want look like on your car! 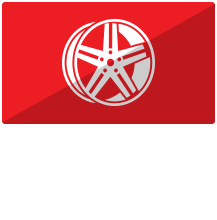 We have a wide selection of popular custom wheel brands. Find your favorite styles in stock at great prices. Try our online wheel visualizer. Maximize fleet performance and save with discounted pricing. 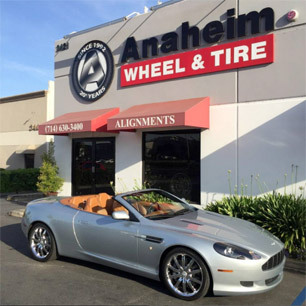 Learn how Anaheim Wheel & Tire can benefit your business when you open a Fleet Account today. Our mission is to provide our clients with the absolute finest buying experience in the industry by combining the pricing of the national chains with the personal service that only an experienced, owner-operated business can provide. 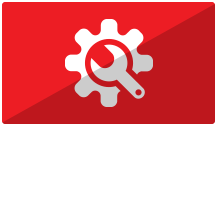 We are independent, objective, honest, and have an awesome group of technicians who take great care of our clients' vehicles. The three owners - Steve, Daniel, and Candido - live in the area, have a combined 70+ years experience in the tire industry, and enjoy building long-term relationships with all of our clients. Our pricing is excellent because we are a member of the world's largest tire buying group and our overhead is much lower than the national chain stores. 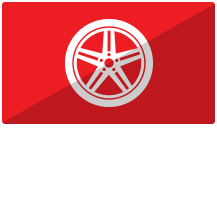 We sell all the brands, sizes, and types of tires for every vehicle on the road. 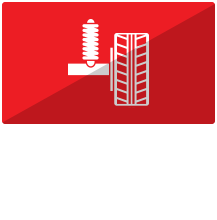 We also keep our business real simple - we only do tires, wheels, alignments, brakes, and oil changes. We stock over 2,000 tires and we've carefully selected an inventory that provides our clients in Yorba Linda CA, Anaheim CA, Placentia CA and Anaheim Hills CA with the best tires in the industry for their budgets and driving habits.